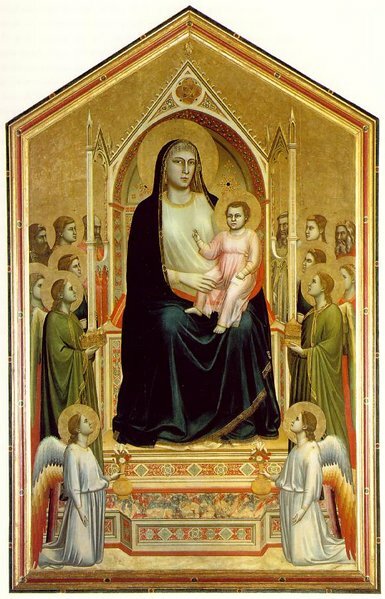 Cimabue's greatest student was Giotto, Florence's greatest pre-Renaissance painter. His massive painting sits in the Uffizi, a hallmark of Italian pre-Renaissance painting. The throne speaks to Italian gothic architecture, The colored marble and gilding are a quintessential characteristic of the time.